When my mother-in-law passed away, my father-in-law gave her recipe boxes to my husband. 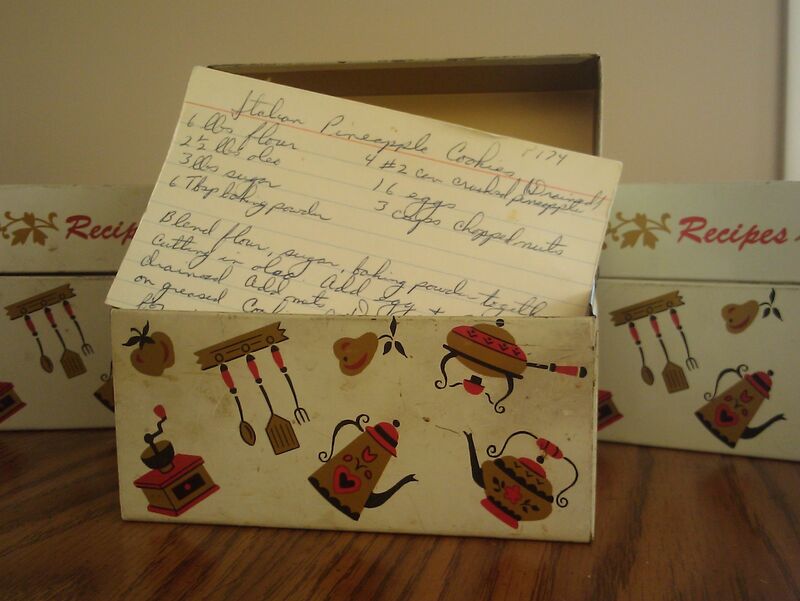 Three small, matching metal tins filled with the recipes she made dozens and dozens of times during his childhood. Some are clipped from newspapers or magazines, but most are handwritten on index cards. And among the handwritten ones are countless recipes that go back many generations – special dishes that were only made in the tiny village in Sicily where both her parents grew up. When we cook those dishes, my husband is instantly transported to his childhood – the smells and tastes are exactly what he remembers from his mother’s kitchen. And it always makes him think of her.